Lay four pieces of bacon out side by side. Use the corn like a rolling pin to flatten out the bacon, which will help it cook evenly. Lay jalapeno slices on bacon, about a half of a jalapenos worth per ear of corn. Sprinkle salt and pepper, and either cilantro or basil to taste. 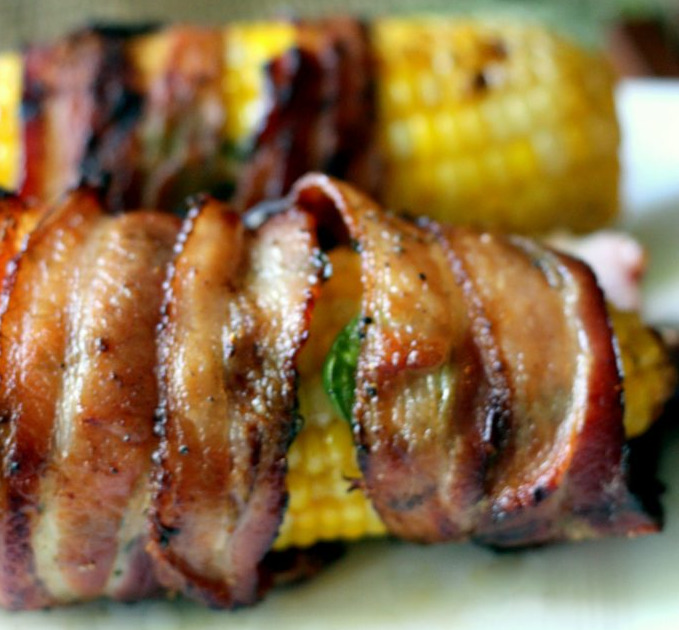 Roll the bacon around the corn and press the ends to help the bacon stay put. Repeat for the remaining ears of corn. Grill over high heat for 10-15 minutes, until bacon is crispy. Rotate every few minutes.